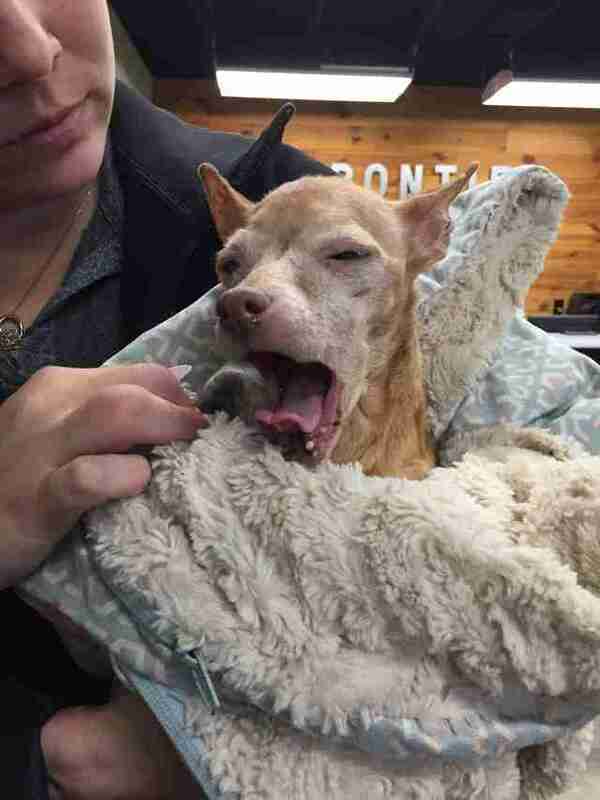 When an elderly dog arrives at a shelter, it usually doesn’t have a happy outcome. 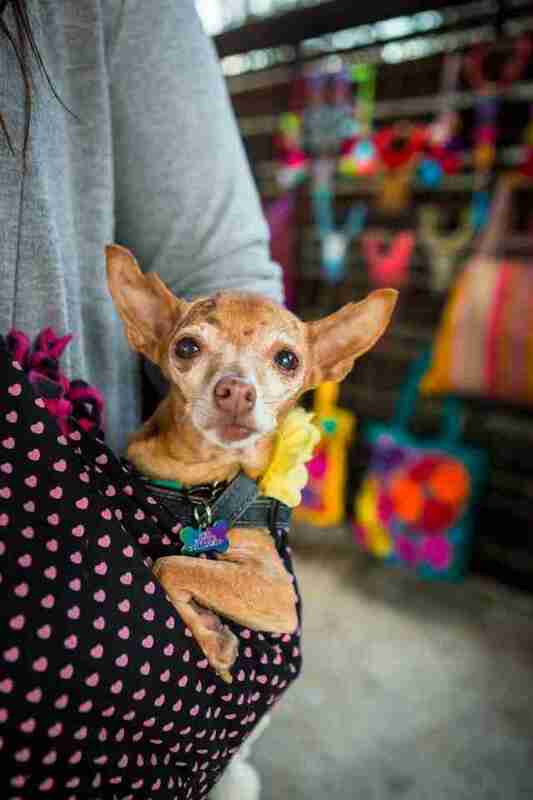 Few people are lining up to adopt older animals, but for those who do, the rewards are great. 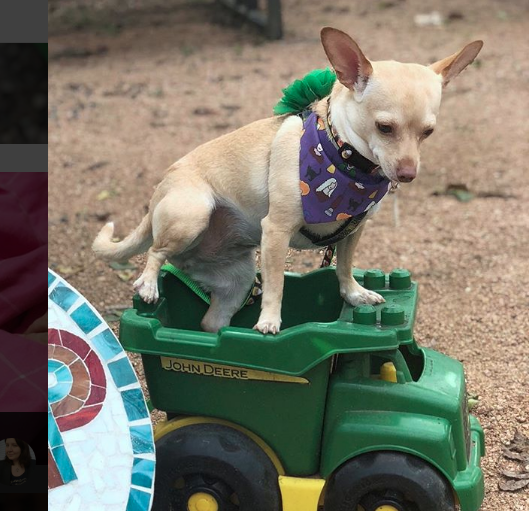 Ruthie the Chihuahua was in terrible shape when she arrived at a shelter in Texas, but she found a loving home and family. 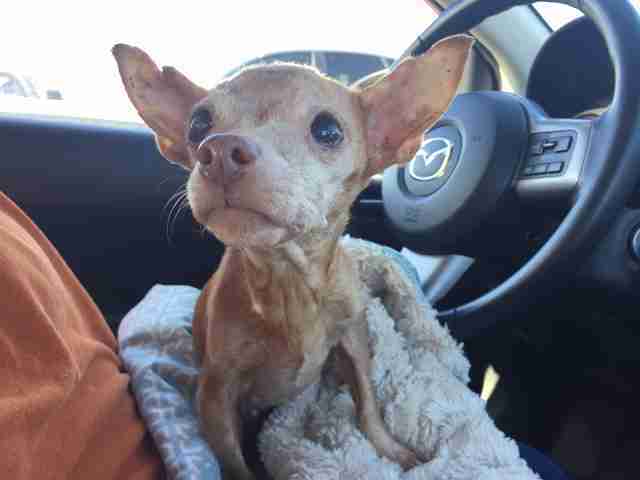 Ruthie was a 16-year old stray Chihuahua mix who was found living on the streets of Abilene, Texas. 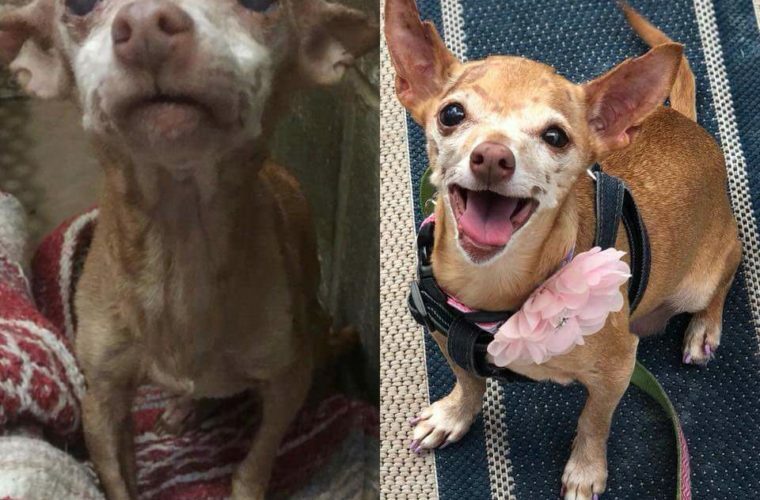 When she was taken to a shelter, the medical team didn’t think she would make it. 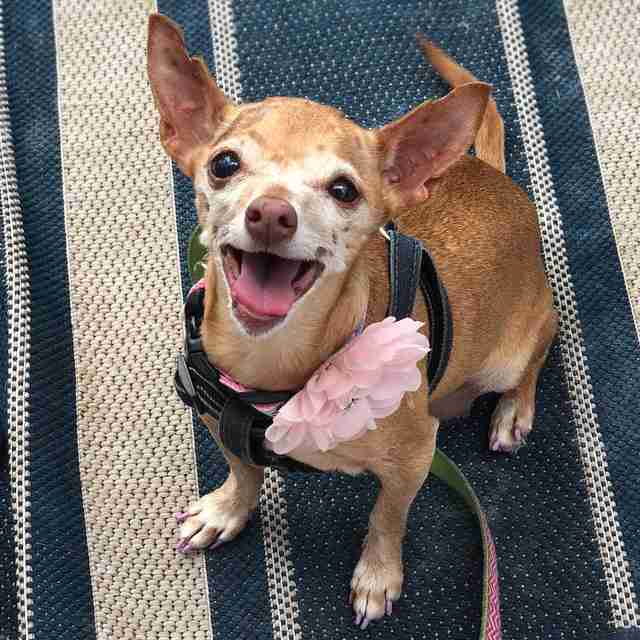 Ruthie was dangerously thin, had eye and skin infections and was suffering with gum disease. She was riddled with fleas and despondent. Shelter life didn’t come easy to Ruthie. In addition to feeling bad, she was not coping well with living in a cage surrounded by lots of other animals. 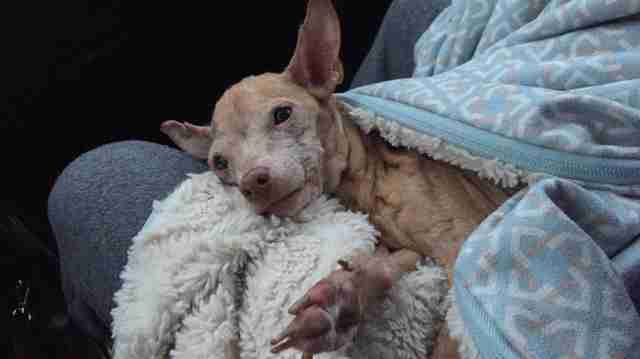 At her age and with her medical problems, it seemed that Ruthie would be marked for euthanasia before too long. That’s when Forgotten Friends Mixed Breed Rescue decided to take charge of the situation. They fell in love with the adorable dog and pulled her from the shelter right away. After Ruthie was settled in foster care, they started addressing her many medical problems. 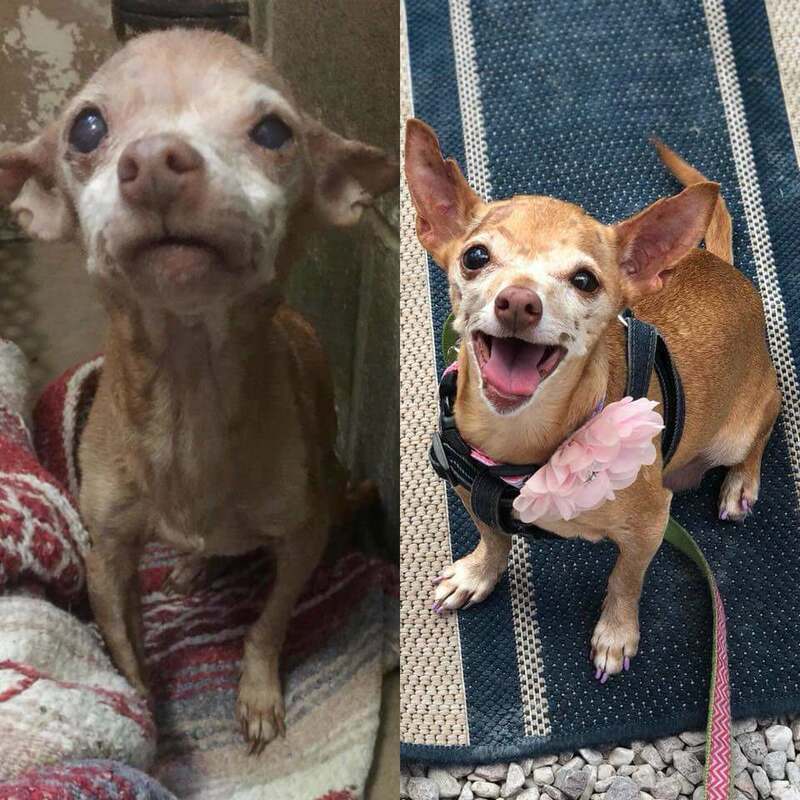 The rescue knew senior dogs had a hard time being adopted, but they believed someone would take a chance on her. Jen Ramey and her husband were exactly the sort of people who would take a chance on a dog in need. They were using their dog Buttercup’s birthday to raise money for Forgotten Friends Mixed Breed Rescue. The birthday party would raise money and let some of the Rescue’s new dogs attend. But when Ramey and her husband met Ruthie, their hearts melted. Ramey knew that Ruthie had many medical issues that needed monitoring but they still forged ahead with the adoption. 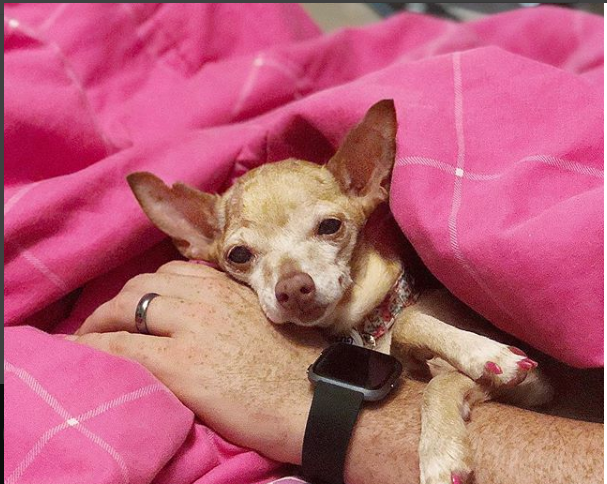 They prepared to integrate an older dog into their household, assuming that Ruthie was going to be a low-key older dog who preferred quiet time. This turned out to be wrong. Ruthie made it clear that she intended to be a very active member of the family. “Right away, she wanted Buttercup to know that she was here to stay,” Ramey said. “We expected her to be a chill old lady, but that wasn’t exactly the case.” Ruthie will play fetch and chase tennis balls all day. Ruthie was very energetic and playful. She actually loved to play with Buttercup, even though she is much younger. She enjoys hanging out with the whole family and prefers to be with everyone rather than alone. She is a people-pleaser who likes attention. With respect to her medical issues, Ruthie is improving all the time. She still needs constant care, however. She can’t put weight on and had a collapsed trachea. The poor dog has scarred lungs due to chronic bronchitis she had when she lived on the streets. Ruthie has an inoperable hernia and inflamed airway disease, both of which need monitored. However, despite all of this, Ruthie is overjoyed to have a family. She has been described as a happy-go-lucky soul. 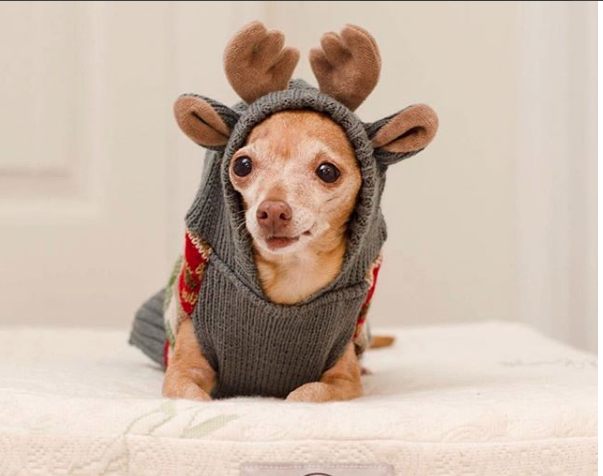 Although nobody thought she would get adopted, Ruthie thrives on proving people wrong. The energetic dog has a new lease on life, thanks to her adopters and the rescue team. 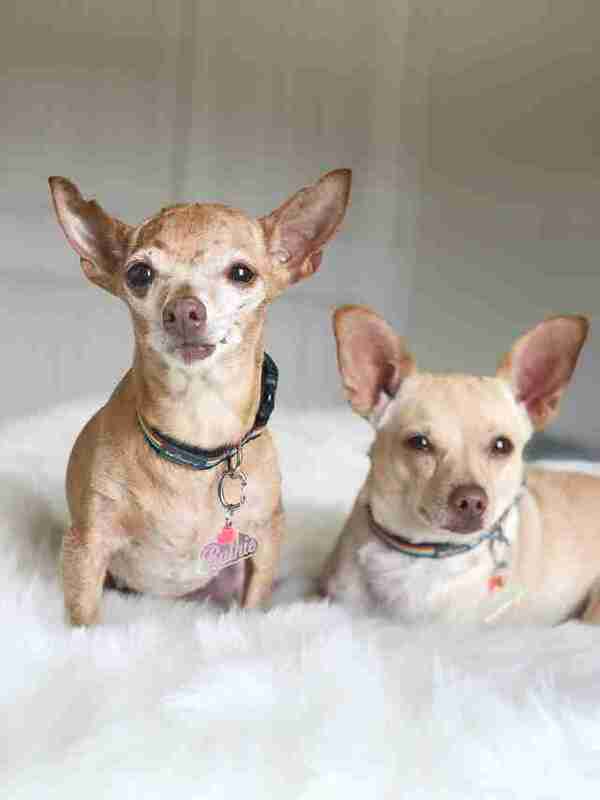 Ruthie and Buttercup share their lives with their adoring fans on Instagram. You can follow them on Instagram/princessbuttercupdumptruck. The account is well worth the follow for the adorable pups in costume, like here where they are dressed for Halloween.